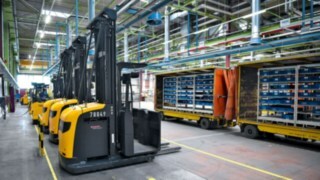 Forklift operators are exposed to high levels of physical strain, particularly when transporting large, bulky goods. These goods restrict the operator’s view, so they need to drive backwards. The operator twists their upper body in the direction of travel in order to operate the truck safely. However, this posture damages their spine. It often results in fatigue, pain and lost working days. Having a clear view and working ergonomically do not have to be mutually exclusive. 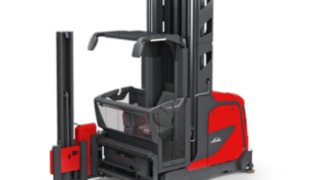 When using the rotating operator’s work station for IC- and electric forklift trucks from Linde or the rotating cabin for heavy forklifts, the work station rotates rather than the operator. This improves the view of the load or the direction of travel and takes the strain off the operator’s musculoskeletal system. Lost working days are reduced, as well as potential errors due to tiredness. 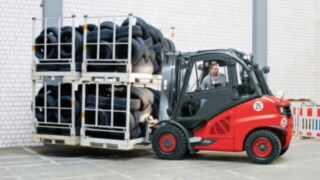 For the operator, this ultimately means a greater handling capacity. 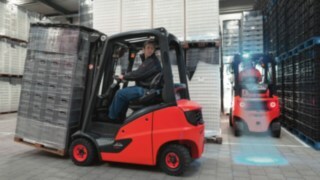 In logistics, bulky loads increase the risk of an accident because they significantly restrict the forklift operator’s vision. There are accessories that can help, such as mirrors or cameras, but they don't fulfil safety requirements. For example, German regulations on operating industrial trucks stipulate that in these cases, they must be driven backward. The regulations also state that driving backward regularly should be avoided as this can put excessive strain on the operator’s spine. 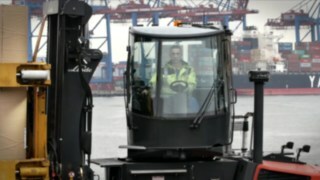 However, some tasks require operators to drive backwards regularly. 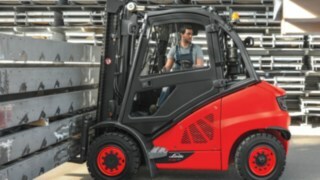 The rotating operator’s work station from Linde can be a solution to this: When reversing, the operator turns all the operating equipment along with the steering wheel, pedals, and arm rest by up to 90 degrees. 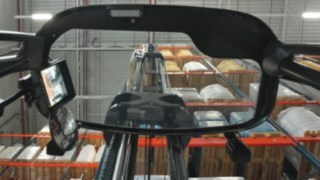 As on a reach truck, the operator sits at right angles to the lane of traffic and can see the whole route. This greatly improves their view and reduces signs of fatigue; in short, it improves operational safety. I used to have constant problems with my cervical spine because I had to drive backward for six hours a day. Using the rotating operator’s work station, I now have a clear view of the route and the load. 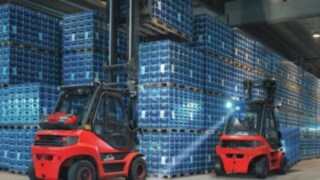 Relating to this, the Employers’ Liability Insurance Association for Retail and Goods Distribution (BGHW) has calculated that Linde's rotating operator’s work station reduces physical strain on the operator by approximately 60 per cent, thereby significantly reducing the risks to their health. According to another calculation, operators on a fixed seat spend 43 per cent of their working time in an excessively twisted spinal position. By contrast, if they are sitting on a rotating operator’s work station, the time they spend twisting their body is reduced to just eight per cent. 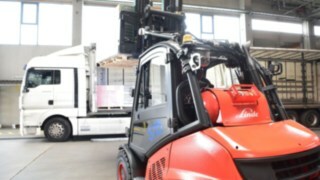 Working with its system partner NEUMAIER Industry, Linde has developed the rotating operator's work station for electric and IC trucks as well as a rotating cabin for heavy trucks. 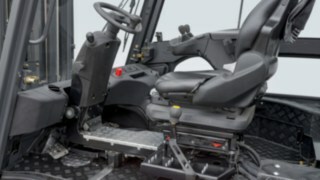 The rotating operator’s work station is available in several versions to suit different truck models and operators of different heights. A range of seat types is also available. 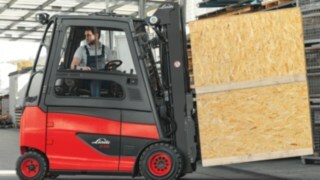 In addition, the robust design can be retrofitted to several forklift ranges from Linde manufactured from 2009 onward. 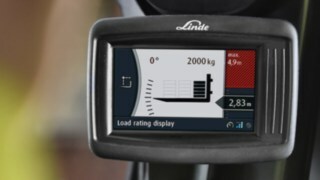 All heavy truck models can be fitted with a rotating cabin that is sold by Linde’s network of distributors. Trucks can also be retrofitted. Find out more about the technical details of the rotating operator’s work station and the rotating cabin in the Linde brochure, ‘Work more safely, ergonomically, and efficiently’.